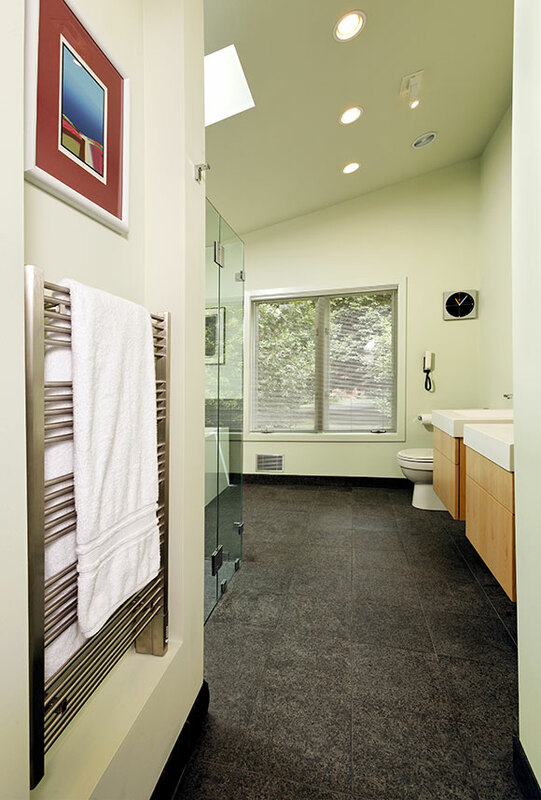 Here is a contemporary bathroom with features that create a feeling of spaciousness. Floating vanities expose more of the floor. 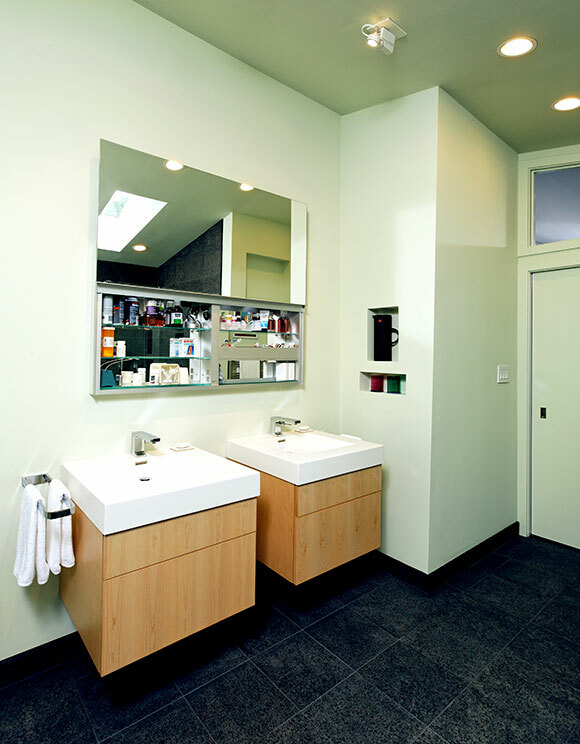 A medicine cabinet mirror slides up and down to conceal stored items. 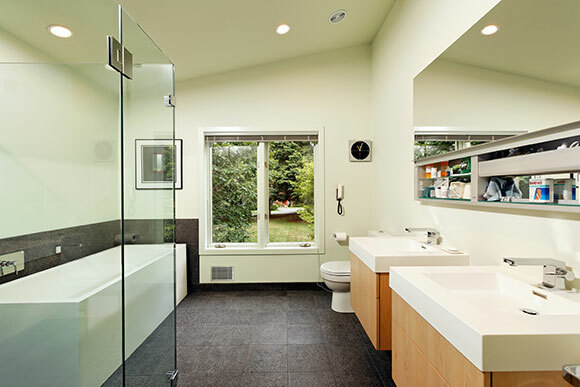 Large glass panels in the shower reach from the floor nearly to the ceiling, increasing sight lines, and the walls are all bright white to reflect light. 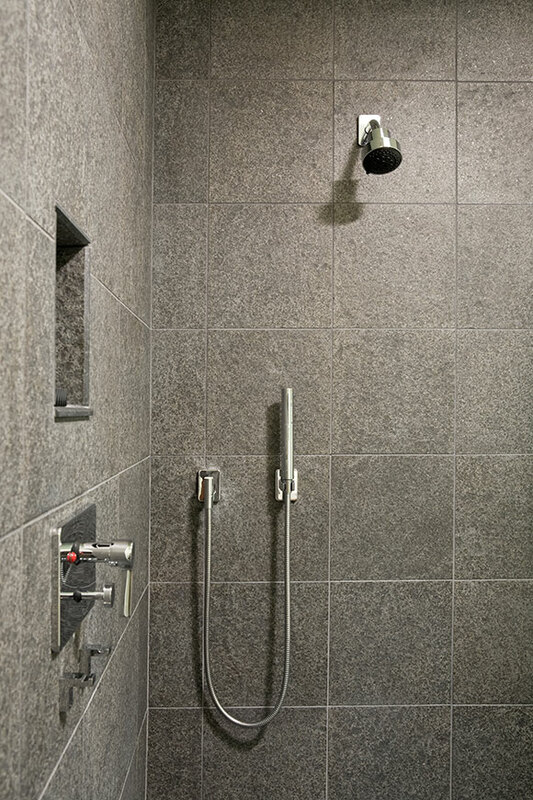 This bathroom is crisp, clean and contemporary with the simplest of lines accomplishing the greatest of style and function.